The elements of monetary relations appeared in the ancient world in the form of bills (promissory notes), but the money exchange was developed in medieval Europe. Initially, the money transfer from one country to another one was taking place with the help of a bill of exchange, which showed up in Italy, in the 12th century. Due to the growth of external trading between the countries in all the major trade centers of Europe the accounting was performed by the bills of exchange. 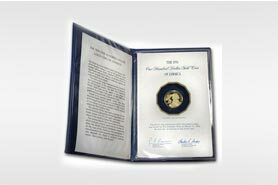 Subsequently, with the appearance of national currencies (including credit money) and with the displacement of commodity money (gold, silver), there was a need to regulate international monetary relations. 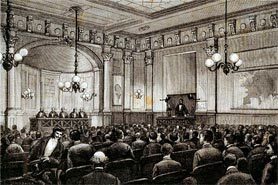 The first world monetary system was formed at a conference in Paris in 1867, where the gold standard was adopted. Gold was recognized as the only form of the world money. For each national currency gold content was legally fixed, in other words gold parity. At the banks the exchange of currencies for gold was taking place freely. Each country included in this system was supposed to have a gold reserve to provide the normal functioning of national currency circulation. The limitation of world gold reserves predetermined the inevitability of crisis started during the First World War. Banks stopped the exchange of banknotes for gold and increased the emission of currencies for covering military expenses. 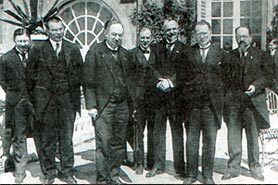 The second world monetary system was formed in 1922, at the International Economic Conference of Genoa. It was based on the gold – exchange standard. Besides gold there were also some national currencies (pound and US dollar), which were confirmed as international reserve currencies. The gold parity was also retained. Gold-exchange standard lasted not so long. The system was practically destroyed during the world crisis in the 1930s. Great Britain abolished the gold-exchange standard in 1931 and the USA in 1933. Later on, the devaluation of the main currencies of the countries included in the agreement of Genoa started. By the beginning of the Second World War, there was not any currency with stable exchange rate. 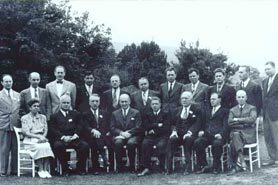 The third world monetary system in the form of statute of the International Monetary Fund was legally formed at the Bretton Woods Conference, formally known as the United Nations Monetary and Financial Conference in 1944. The US dollar was recognized as an international accounting currency and the rest of the currencies were tied to dollar. The postwar indisputable economic leadership of the USA and the huge gold reserves provided stable exchange rates of the US dollar. The price of gold was fixed at $35 per 1 troy ounce. In case of necessity, the participating countries of the agreement could devalue their currencies. The World Bank and the International Monetary Fund were created, through which countries could help each other with money. The crisis of the Bretton Woods system started in parallel with the world cyclical crisis, which gripped the economy of Western countries in 1967. The main causes of the crisis were the strengthening of inflation, the instability of the balance of payments of Western countries and also the excess of dollars in the market, which the USA used for covering the shortage of its balance of payments. Because of the sharply reduced gold reserves, countries were not able to provide conversion of foreign dollars into gold at the earlier fixed price. Soon the USA unilaterally refused previously adopted international obligations to ensure gold-backed U.S. dollar. Abolishment of gold standard and demonetization of gold (Central Banks were allowed to buy gold as an ordinary commodity at market prices). The SDR was introduced (Special Drawing Rights), which was used as world money. SDR is an international reserve asset issued by IMF. The regime of freely floating exchange rates was established and the states were allowed to determine their regime of exchange rates independently. Accordingly, the modern world monetary system, based mainly on the U.S. dollar and Euro, depends on the monetary policy of the USA and on the EU countries. The exchange rate fluctuation of national currencies to the U.S. dollar negatively affect the economy of many countries.